I’ve said it before and I’ll say it again now. One good thing about running a women’s rights blog is that I’ll never run out of material. I suppose I should really extend a thank you to the anti-choice fringe for keeping this blog running. In today’s GOP-loves-fetuses-but-hates-women news, more than 100 members of Congress have signed on to support the “Protect Life Act.” Not just any life, fetal life. At the expense of women’s lives. would override the requirement that emergency room doctors save every patient, regardless of status or ability to pay. The law would carve out an exception for pregnant women; doctors and hospitals will be allowed to let pregnant women die if interventions to save them will kill the fetus. This clause was inserted very recently into HR 358, which is already jam-packed with anti-women, anti-choice rhetoric. It is yet another piece of pending legislation that seeks to “effectively ban abortion in the United States, establish personhood of fertilized eggs, and outlaw contraception” (via RH Reality Check). It always kills me how people who stand up on their soapboxes proclaiming their love and respect for life don’t seem to have any regard for women’s lives. What is it about women having control over their bodies and lives that is so damn scary? 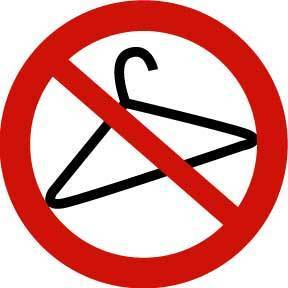 To see if your representatives have signed onto the “Protect Life Act,” go here.